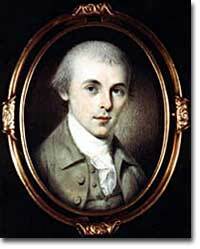 By working to get the Bill of Rights passed, James Madison continued his support of Jefferson's policies. Jefferson supported the Constitution under the condition that basic human rights would be protected through a series of amendments. Understandably, any people that fought a revolution over "taxation without representation" would be cautious about the new Constitution created in 1787. For example, famous Virginian Patrick Henry refused to attend the Convention because he "smelt a rat." The debate polarized the new nation. Those who supported the Constitution became known as federalists and those who opposed its ratification were called antifederalists. The federalists supported a strong national government to preserve order. The antifederalists favored strong state governments and believed that the national government created by the Constitution was too strong. In many ways the argument was the same old debate about the proper balance between order and liberty. Alexander Hamilton, James Madison, and John Jay wrote compelling arguments in favor of ratification in a series of essays known as the Federalist Papers. There were probably more antifederalists in America, but the federalists were better organized, controlled more newspapers, and were in greater positions of power. The two sides finally reached an acceptable compromise when they agreed to add some amendments to the Constitution that protected individual liberties and rights. The piece of parchment that is called the Bill of Rights is actually a joint resolution of the House and Senate proposing twelve amendments to the Constitution. The final number of accepted amendments was ten, and those became known as the Bill of Rights. In 1789 Virginian James Madison submitted twelve amendments to Congress. His intention was to answer the criticisms of the antifederalists. The states ratified all but two of them — one to authorize the enlargement of the House of Representatives and one to prevent members of the House from raising their own salaries until after an election had taken place. The remaining ten amendments, known as the Bill of Rights, were ratified in 1791. They put limits on the national government's right to control specific civil liberties and rights, many of which were already protected by some of the state constitutions. Liberties protected included freedom of speech, press, religion, and assembly (First Amendment). The Bill of Rights also provided safeguards for those accused of crimes. Two amendments — the right to bear arms (Second Amendment) and the right to refuse to have soldiers quartered in your home (Third Amendment) — were clearly reactions to British rule. The antifederalists were pleased by the addition of the Tenth Amendment, which declared that all powers not expressly granted to Congress were reserved to the states. 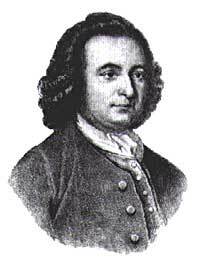 George Mason was one of the leading figures in creating the Bill of Rights. After storming out of the Constitutional Convention because the Constitution didn't contain a declaration of human rights, he worked to pass amendments that would protect citizens from an intrusive government. Over the years the Bill of Rights has become an important core of American values. The compromise that created the Bill of Rights also defined what Americans would come to cherish above almost all else. 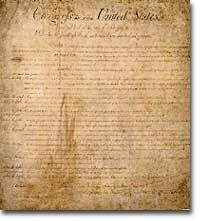 Together with the Declaration of Independence and the Constitution, the Bill of Rights helps to define the American political system and the government's relationship to its citizens. James Madison was one of the primary proponents of a Bill of Rights that would outline the freedoms that the U.S. had been founded to defend. This multi-page illustrated biography of Madison, from the PBS program The American President, is a good resource into the life of this less well-known President. Thomas Jefferson was Madison's mentor, and his ideas were influential in the composition of the Bill of Rights. This site from the University of Virginia presents a collection of quotations from Jefferson's letters and writings about the proposed Bill of Rights and offers insights into its origins. George Mason stormed out of the Constitutional Convention in disgust when a declaration of rights was not included in Constitution, but he was able to get a bill produced in the years after the federal U.S. was established. Mason's home, Gunston Hall, is now a museum devoted to his life. This website on Mason's life and work is one of their exhibits. The issue of quartering soldiers in private homes was one of the major causes of the War of Independence, so it's no surprise that one of the basic freedoms protected under the Bill of Rights is the right not to have to quarter soldiers. This unaffiliated website gives a short, text-only summary of Third Amendment history. Quartering soldiers in private homes — a reason to kick off a revolution! ushistory.org serves up this small summary of the Quartering Act of 1774, one of the Intolerable Acts that led directly to the American revolution, and later to the enshrinement of the right not to quarter soldiers in the Third Amendment.